Low back pain (lumbar spine pain) is one of the most common affliction in our society. Almost every person will have at least one episode of low back pain at some time in his or her life. The pain can vary from severe and long term to mild and short lived. Transval Lumbar Roll helps in the reduction of low back pain and stress. The lumbar roll can be used while sitting or lying down. Transval lumbar roll is useful during acute and chronic cases of back pain caused by wrong posture, long hours of sitting and back injury. The lumbar support is lightweight and easy to position for maximum comfort most appropriate where space is a primary concern. If you need back support, just take your lumbar roll with you virtually anywhere for added support. Fix lumbar roll onto your chair – at the office, home, cinema theatre or car(it’s the perfect car lumbar support! ), lean back against the roll as you would sit normally, contour surface will fit in hollow of your back providing strong lower back support. 1. 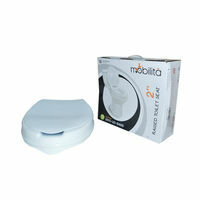 The lumbar support is light weight and easy to position for maximum comfort. 2. Support you in just the right spot, sewn with, durable elastic and knitted fabric material. 3. Easy, comfortable and inconspicuous to use. Fixes with buckle and elastic to any chair, wheel chair or car seat. 4. Made from high-density orthopaedic grade moulded foam. Superbly designed and crafted for chair or automobile. 5. Lumbar roll is guaranteed to maintain its shape for well over 5 years. Low back pain (lumbar spine pain) is one of the most common affliction in our society. Almost every person will have at least one episode of low back pain at some time in his or her life. The pain can vary from severe and long term to mild and short lived. 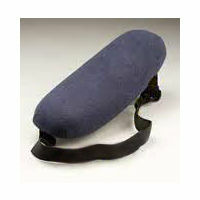 Transval Lumbar Roll helps in the reduction of low back pain and stress. The lumbar roll can be used while sitting or lying down. Transval lumbar roll is useful during acute and chronic cases of back pain caused by wrong posture, long hours of sitting and back injury. 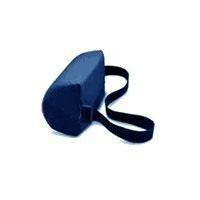 The lumbar support is lightweight and easy to position for maximum comfort most appropriate where space is a primary concern. If you need back support, just take your lumbar roll with you virtually anywhere for added support. Fix lumbar roll onto your chair – at the office, home, cinema theatre or car(it’s the perfect car lumbar support! ), lean back against the roll as you would sit normally, contour surface will fit in hollow of your back providing strong lower back support. Features 1. 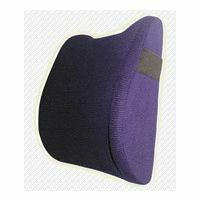 The lumbar support is light weight and easy to position for maximum comfort. 2. 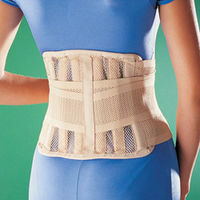 Support you in just the right spot, sewn with, durable elastic and knitted fabric material. 3. Easy, comfortable and inconspicuous to use. Fixes with buckle and elastic to any chair, wheel chair or car seat. 4. 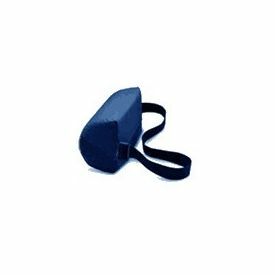 Made from high-density orthopaedic grade moulded foam. Superbly designed and crafted for chair or automobile. 5. Lumbar roll is guaranteed to maintain its shape for well over 5 years.